U.S. Congressman Charles Rangel is to file a complaint to the House ethics committee against himself. It follows media accusations that he misused his office. A formal call for an investigation is rarely used by House members – the last case dates back to 2004. 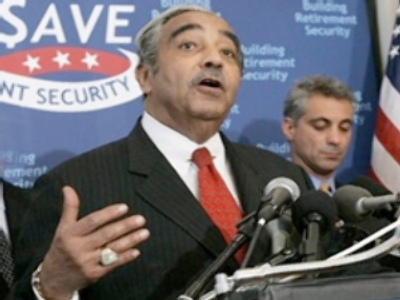 According to The Hill newspaper, Rangel is to the first representative to target himself with the measure. Rangel was attacked last week in a Washington Post article detailing his efforts to raise money for a college bearing his name. The report alleged Rangel had broken House ethics rules barring members from writing begging letters on paper bearing the congressional letterhead. The angry parliamentarian was quick to react. He says he’s innocent of breaking House rules and believes the ethics committee will back him. However, Rangel said he wouldn’t ask for an investigation into a separate issue revealed by The New York Times. The newspaper says politician made use of four rent-controlled apartments, one of them as a campaign office, despite NYC regulations forbidding it.